Experienced tutor Robert Zass will help you give your furniture another lease of life using traditional French Polishing and restoration methods. Minor repairs can be undertaken under supervision and all skills levels can be accommodated. Scroll down for a full description of the course. What is French Polishing at Balwyn Community Centre? 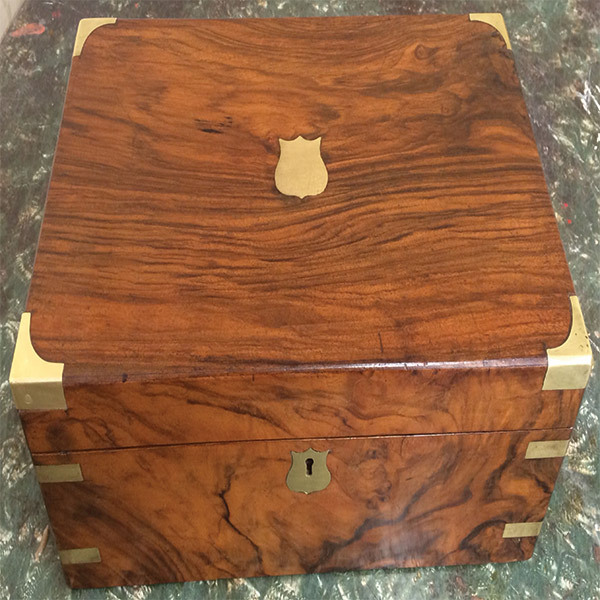 French Polishing is very much ‘a labour of love’ and today, is something of a lost art. With time and patience it produces a deep, luxurious lustre and can transform tired furniture into something to admire. The art of French Polishing dates back as far as the Victorian Era, but was brushed aside in the early 20th Century in favour of quicker, cheaper methods. Today, French Polishing is experiencing a revival! It is a wonderfully rewarding hobby to have. It requires skill and patience, and allows you to give old furniture new life. French Polishing involves the application of shellac to a woodworking project and produces a tough surface with a very glossy, mirror-like finish. You may recall polished pieces of woodwork or furniture scattered around the house of your parents or grandparents. They look and feel very different to what you might find in a shop. They’re timeless and draw the eye to where they reside. This course equips you with knowledge and skills to create your very own French Polished works. In this course you will learn the art of French Polishing. Over the duration of the term you’ll work on and complete one (or a few) projects. You may choose to polish a piece of furniture, such as a table or wooden chair. Alternatively, you can bring along a wooden bowl or decorative item. Week-by-week you’ll improve your technique and learn new tips and tricks. Our experienced tutor, Robert will make sure you get the most from each class. Starting from the very basics he’ll teach you step-by-step, helping you to master the technique and learn to love the art! Robert leads his class through in-depth demonstrations and then tends to each student to help them overcome problems. You’ll feel welcome and comfortable to ask questions. You’ll finish the term satisfied and proud to show off your final polished project. You are required to bring a piece of furniture or wooden object that you’d like to work with. Refer to our materials list for additional items required. For a list of materials click here. All ages and levels of experience are welcome to French Polishing at BCC. If you’d like to explore a new hobby, or wish to restore an old piece of furniture, you should give this course a go! If you have experience French Polishing or perhaps enjoy other forms of woodwork, you’ll also get a lot out of this course.